At the beginning of this month, I found myself very tired physically. On the one hand, I was carrying into this new month some of the exhaustion from the month before, and I also had several nights where I was unable to sleep. So, for several days I was really weak, fighting against tiredness in order to be able to concentrate and fulfill my labors in the ministry. I fought through my weakness to find joy in the Lord. Situations like these help me to rediscover truths and principles that I’ve learned, but sometimes forget. First, I was reminded that we are fragile people. We are weak and dependent on our Savior. Second, Christ is a trustworthy Savior and we can go to Him in our weakness. He isn’t going to cast us away from Him. In the midst of my tiredness, the Lord led me to find sweet refuge in His promises for the provision of His grace. I can say, “I sought the Lord, and He answered me, and delivered me from all my fears” (Psalm 34:4). No matter where we are, no matter the circumstances in which we find ourselves, the Lord calls us to taste and see that He is good and that the greatest joy is given to us when we trust in Him. For the past four months, I have set apart some time to study and meditate on Exodus 20, the moral law of God. These meditations have transformed the way that I’ve understood the character of God, His holiness and His wisdom. I’ve been humbled to see my own internal wickedness, but at the same time I’ve been more deeply convinced of the love of God revealed in the gospel. I’ve seen, with greater intensity, the sufficiency of Christ Jesus. Through this study my longing has increased to see His Name be hallowed. The Lord gave me the opportunity to preach many of these meditations and He used them for the edification of the church. Several people have come to me and shared that their hearts were confronted by the teaching and that they saw their need for Christ. Please, continue praying that the Lord would use these sermons to open the eyes of the blind to the beauty and dignity of Christ. At the beginning of September we will baptize four new believers: Mariano, a man that the Lord rescued from the deceit of a false gospel; Monica, a lady that was rescued from pride and a self-deceiving heart; Francisca, a young lady that the Lord rescued from a libertine lifestyle; Nahir, a young lady rescued from self-righteousness and the lies of Roman Catholicism. Please pray for the brothers and sisters that will be baptized and pray also for their public testimonies that will be given. Pray that the Lord would use the service to exalt His Name, and especially that those who are present who are currently without Christ would bow the knee to Him. We are very grateful for each of these testimonies of God’s grace. 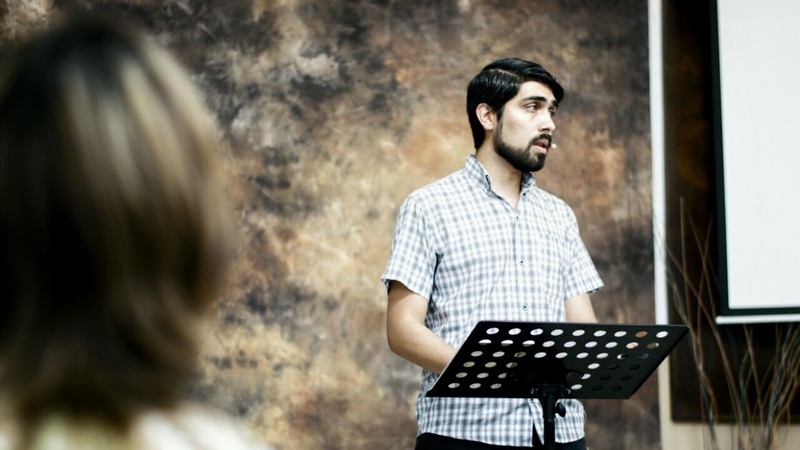 Four months ago I began teaching the young men and women our church the basic doctrines of the gospel. The purpose of these teachings is that they be able to articulate them faithfully when they share the gospel with people around them. The idea actually came from the young people themselves, and we’re excited about what God is going to do through these studies. First, we looked at a biblical understanding of sin. When we studied the dilemma of the gospel, these truths came with great weight on our consciences, and gave us a deeper sense of the grief and guilt of our sin. How is it possible that a just and holy God can have fellowship with criminals like us? Tears began to pour out as we came to the doctrine of justification. What a precious truth! “For Christ also died for sins once for all, the just for the unjust, so that He might bring us to God” (1 Peter 3:18). Several of the people we’ve met through evangelism have come to the meetings, and they have been deeply moved by the truths they’ve heard and have expressed a desire to know more. The members of the church are taking a lot of initiative to meet the different needs both within and outside of the church—things like evangelism and intentional efforts to carry out acts of mercy in the church and community. Especially among the younger people in our church, I’m seeing people grow in their love for Christ and the knowledge of Him. There is a noticeable desire to share the truth of Christ with their coworkers and neighbors. In their desire to share the good news of Christ, several brothers and sisters from the church organized a visit to a hospital in the city, in order to visit the children that are hospitalized. They took advantage of “Children’s Day”—which is a national celebration in Argentina on August 19—and encouraged the church to get together toys to give away to the children. It was especially beautiful to see the church working in the different parts of the activity—some organizing, others putting together the packets, others participating through prayer, and others going to preach the gospel. At the hospital, we handed out the toys to the children and took advantage of the opportunity to speak with the parents and testify of Christ. 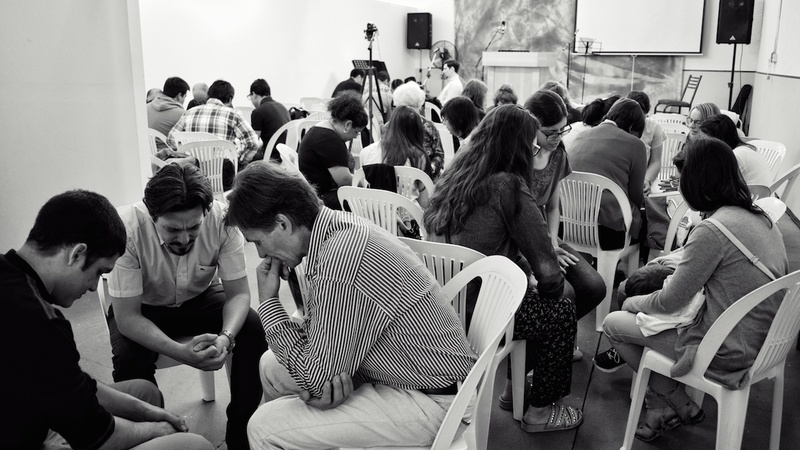 Continue praying for the evangelistic opportunities that we have, like this one. Pray that the Lord would use us in the preaching of His word and that He would open hearts.